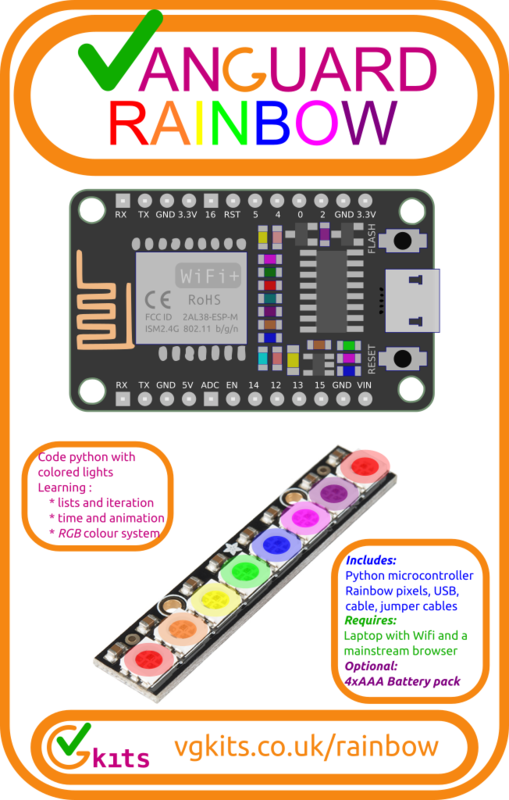 This starter kit for The Vanguard Rainbow project includes the board, a neopixel strip and all necessary cables to power and program the board and Neopixels over USB or Wifi. 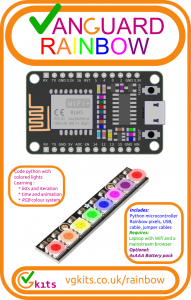 It’s all the hardware a learner or educator needs to get started with our simple programming examples after connecting to their Vanguard board. Vanguard Rainbow is the first kit in the Vanguard Series (sold to support development of resources on this site). Choose the products from the drop-down above and click add to cart. Use your browser’s back button to return to this page and add more things. Click on the cart to change the number of items you want, and checkout. If you are outside the UK, please also purchase the flat rate postage for Continental Europe, USA or Rest of World. Our postage is based on the cost of stamps for a ‘Large Letter’ size parcel and Royal Mail’s 3-5 day International Standard service (7-9 days outside Europe/USA). Whether you buy from us or source for yourself, we need your feedback to know how to improve our projects. Is this a commercial project? 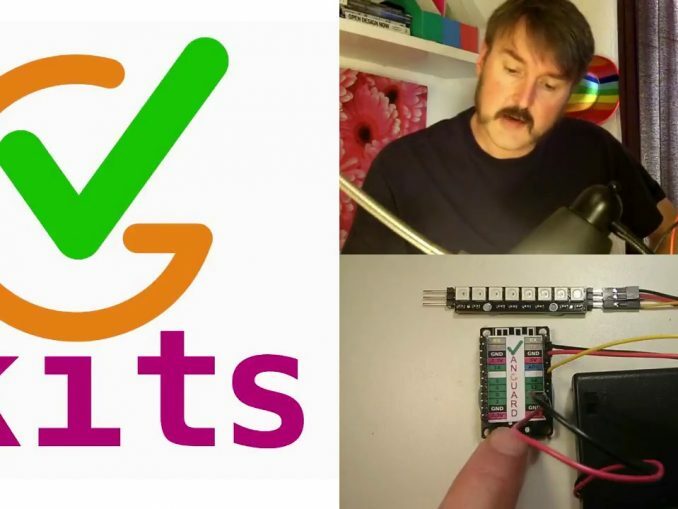 The resources at vgkits.org are CC-licensed, non-commercial and free for educators and learners to use and repurpose. VGKits.co.uk currently redirects here. In the long run it will be a separate ecommerce site (based on Prestashop or Saleor) with retail transactions helping to fund further non-commercial resources at vgkits.org.